“We are what we repeatedly do. Exercise then, is not a lone act, but a habit”. We all know what it is like when we have a sudden burst of motivation to exercise yet after only just a few attempts that motivation along with the exercise disappeared as quickly as it had appeared. Maren believes that there is only one way you will ever create strong exercise & training habits and that is to love what you do. Maren represented Australia in the sport of Triathlon for many years and his passion for outdoor exercise continues through kayaking and bouldering even though he still runs, swims and occasionally gets out on the bike! Although the outdoors gives him the fitness & conditioning he needs, he is a strong advocate that not all results can take place outdoors. 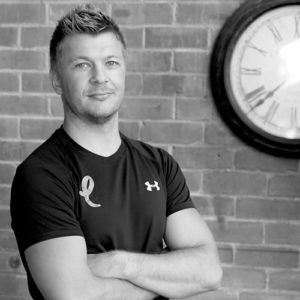 He trains himself and his clients in their purpose built gym focusing on predominantly gymnastic strength training coupled with a strong focus on mobility. “This is where the magic happens!” Maren adds. For each and every client my key priority is to implement a plan that has been carefully & strategically constructed. I can then present the client with the greatest opportunity to fulfill their exercise desires into a lifelong habit, not just a one off act which occurs only randomly and sparingly. In his professional and personal experience, Maren states that when beginning a journey where there is an intended goal of success at the end of it, it is imperative that you stick to the plan and persist through all obstacles – and there will be many! He believes that if you can master the discipline and commitment of a plan in one area of your life then you can do it for others too which is often the main contributing factor to whether you succeed or fail in anything you desire or attempt”. See it, believe it, achieve it.